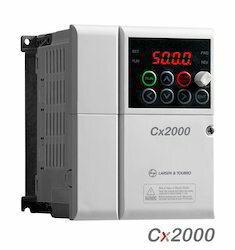 Manufacturer of a wide range of products which include cx2000 ac drives, sx 2000 ac drives, fx 2000 ac drives, ex 2000 ac drives, hx 2000 ac drives and l&t ac drives. The Cx2000 AC Drives is perfectly suited for conveyors, pumps, fans and textile machinery. It handles loads up to 11 kW, and is engineered to keep your machine operating at optimum efficiency, even in the hot, humid and dusty conditions that characterise India's industrial environment. 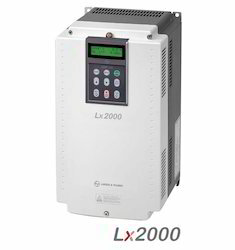 The Sx 2000 AC Drives is built to deliver powerful performance. It handles loads up to 75 kW (HD) / 90 kW (ND) – making it perfect for compressors, conveyors, machine tools, elevators, textiles, fans, pumps, plastic extruders, wire drawings, etc. 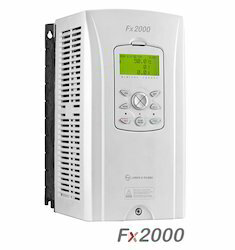 Fx 2000 AC Drives generates powerful performance and meets the precise needs through several features such as superior V/F control, V/F PG, slip compensation and sensor less vector control as well as closed-loop vector control. These do not need any kind of external potentiometer and it is possible to add reference from keypad and external signal. 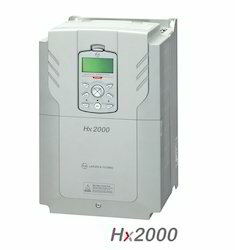 Ex 2000 AC Drives is perfectly suited for fan and pump applications. It can handle loads up to 450 kW, and is engineered to keep your machine operating at optimum efficiency – even in the hot, humid and dusty conditions that characterize India's industrial environment. It has features that save energy and cost, and is easy to operate. This results in extension of pump lifespan and energy saving. the motor windings. These are made available to the customers at industry leading rates. 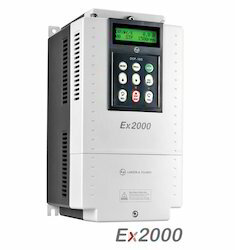 The Lx 2000 AC Drives is designed specifically to add power to elevator performance. 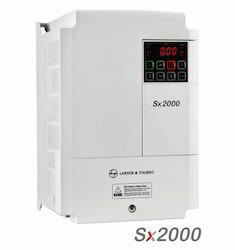 Built to L&;T’s stringent quality standards, the Lx2000 is tested and certified to meet global benchmarks, thus giving you the assurance of total reliability.It handles loads up to 22kW, and is engineered to keep your elevator operating at optimum efficiency, even in the hot, humid and dusty conditions that characterise India’s industrial environment. Designed to be used for heavy duty applications. AC Drives provided by the company are excellent in terms of functioning and do not need any kind of external potentiometer and it is possible to add reference from keypad and external signal. These are engineered to keep the machine operating at optimum efficiency, even in the hot, humid and dusty conditions and are designed for a wide number of applications across the industries. L and T AC Drives are perfectly suited for the toughest, most complex applications such as cranes, plastic winders, high-speed elevators, cement kilns, crushers and more. It handles loads up to 375 kW - HD /450 kW - ND, and is engineered to keep the machine operating at optimum efficiency, even in the hot, humid and dusty conditions.